Former After School member Kahi showed off her D-line on SNS! On March 24, Kahi posted a mirror selfie on Instagram, displaying her full belly, carrying her 6-month-old baby. She wrote, "#25weekspregnant. The mother has been eating so well, her stomach is even bigger now. 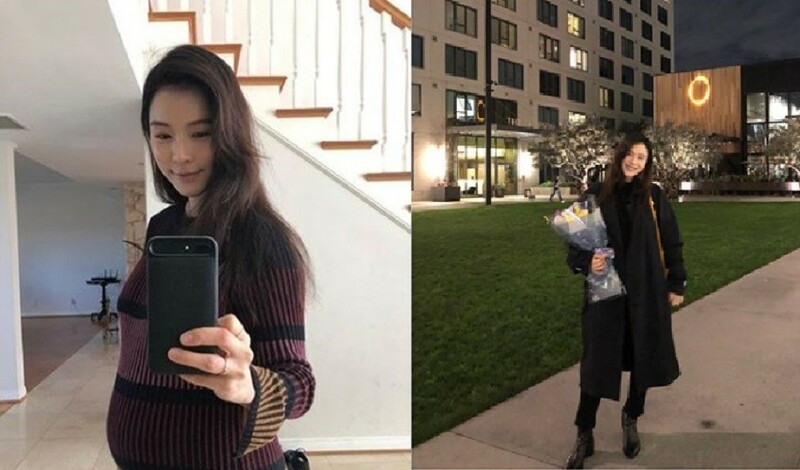 #kahi_cali" It is reported that Kahi has been relaxing in Los Angeles to celebrate her friend's birthday. Back in March of 2016, Kahi had married businessman Yang Jun Moo, and the two are currently raising their 10-month-old son Noah. Many onlookers supported Kahi on her journey of giving birth to her second child. Some comments include, "Congrats on your 25th week!" "You're so beautiful~", and more. #25weekspregnant . . ??? ? ???? ?? ?? ? ???? ?